Sussex Roads Police has warned of delays due to the London to Brighton Veteran Car Run. The first wave of the vehicles, dating back to pre-1905, left Hyde Park at 06.59am and stopped in Crawley for the halfway-point before continuing down the A23. Sussex Roads Police tweeted: "If you're heading south on the A23 towards #brighton, be aware of slow moving vehicles joining the carriageway at #Pyecombe #VeteranCarRun #londontobrighton." Acknowledged as the longest running motoring event in the world and attracting huge wayside crowds numbering tens of thousands as well as numerous entries from right around the globe, the annual pageant dates back to 1927. For more details on the event, click here. 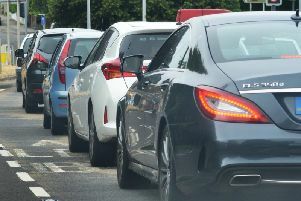 According to traffic reports, there is congestion in Crawley town centre, and the A2219 near the Tushmore roundabout is closed due to the speed trials taking place.